Thomson-Walker Internship – Round 4! This week’s blog comes from our newest Thomson-Walker intern, Irene García Bustos. Irene is the fourth in the series of interns to conserve the Thomson-Walker collection of medical portraits. You can read about previous intern experiences here, here and here! Firstly, let me introduce myself! My name is Irene, and I have a degree in Conservation and Restoration of Cultural Heritage and a master’s degree in Preventive Conservation at Complutense University of Madrid, graduating in 2017. 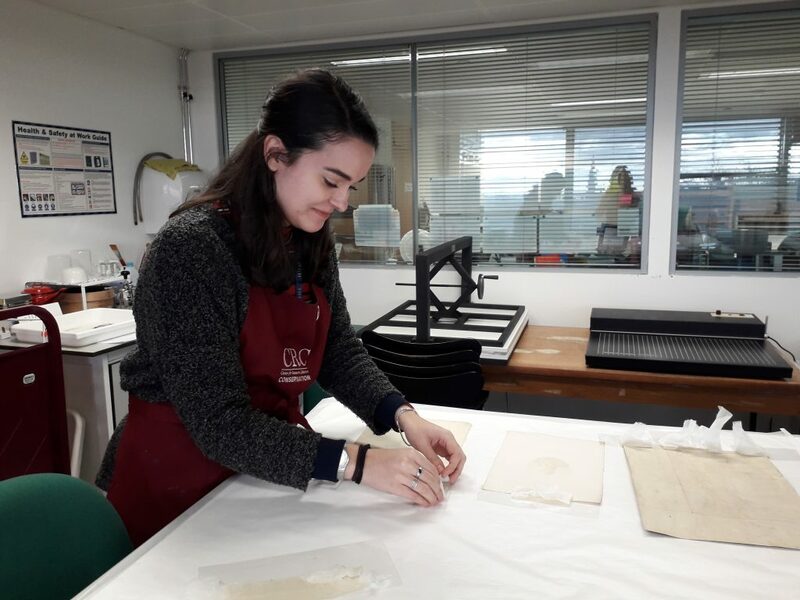 Since finishing my studies, I have had the opportunity to spend over a year doing several internships in photograph and paper conservation at different institutions in Madrid.